Most people might not identify esports with mobile games, but Amazon is trying to change that drastically over the next few years. 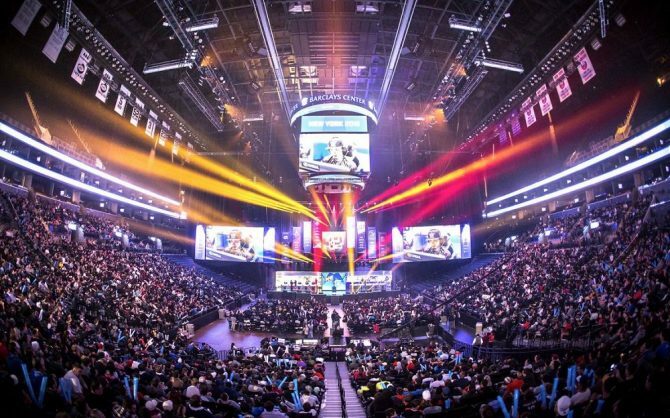 The eSports industry is growing at an insane pace. Whether you’re into them or not, the rise of competitive gaming is hard to ignore. Almost anyone at this point is aware of some of the more notable eSports titles like League of Legends, Dota 2, and Street Fighter, but what they might not know of is the scene’s rise in the mobile market. 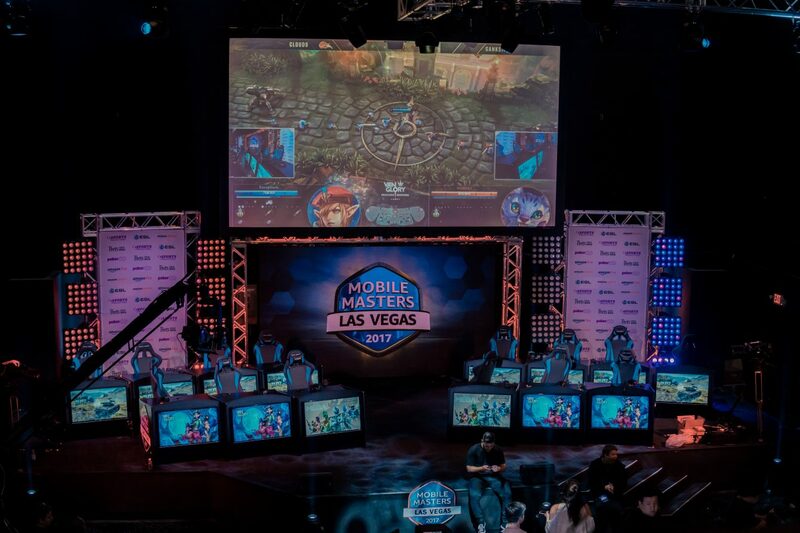 A few weeks back, I attended Mobile Masters Las Vegas, an eSports tournament hosted by Amazon that focused solely on games in the mobile space. I came into the event intrigued to see how it would play out and also puzzled that this scene even existed. The idea of mobile games being played for cash prizes was something foreign to me, and I’m sure many others as well. After attending the tournament though, I’m convinced that this area of eSports will be the next big thing a few years from now. The man leading this charge in mobile eSports is Benjamin Gauthey, the mobile eSport lead with Amazon. Gauthey told me that his foray into this market began last year when he and his team set out to create what he described as “the Super Bowl for casual, mobile games.” Instead of focusing on just one game, however, Gauthey told me he wanted this new mobile scene to highlight a variety of games rather than only one. “We wanted to create more like a festival and get rid of the notion of only having a competition for one game. We tried to figure out how we could bring multiple games together and make this unique atmosphere,” Gauthey said. While I attended Mobile Masters, three games of varying genres were played over the weekend. The mobile MOBA Vainglory, the fighting game Power Rangers: Legacy Wars, and the mobile version of the famous vehicle combat title World of Tanks Blitz. 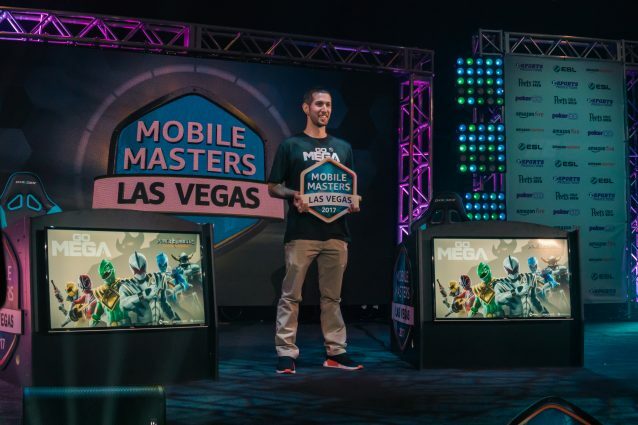 Past Mobile Masters tournaments have also seen titles like Hearthstone, Summoners War, Pac-Man 256, Fruit Ninja, and a variety of others. The variety of genres that are present within the mobile space was a factor for Amazon when deciding to get into the market, but more than anything I was told that it’s the accessibility of the games that Gauthey found compelling. “Most of the players we met that were PC or console players were often traveling a lot, and we noticed that they were spending a lot of time playing more and more games on their phone,” Gauthey said. It’s an understated thing just how impressive some titles are in the mobile space. When looking at a title like Vainglory, for instance, it’s almost hard to believe that a three-on-three MOBA looks nearly as good visually on an iPhone as League of Legends does on a PC. It’s not just graphics either, but the size and scope of mobile games continue to grow as Vainglory will hopefully be adding five-on-five matches by the end of 2017. As the technology within our phones and tablets continues to improve, so will the games in this space. As the games themselves continue to get better, the reach of these mobile tournaments will also continue to grow. Amazon is currently partnered to broadcast footage from the tournaments that took place at Mobile Masters on the CBS Sports Network at a later date. This in addition to the presence that Amazon already has carved out on Twitch — owning the streaming company also doesn’t hurt — continues to shed more light on this still relatively unknown area of eSports. What’s perhaps the most compelling part of this area of eSports to me were the players themselves. I talked to a variety of players from World of Tanks Blitz, Power Rangers: Legacy Wars, and Vainglory the Friday before the tournaments began and each person had their own unique story about how they made it to Las Vegas. 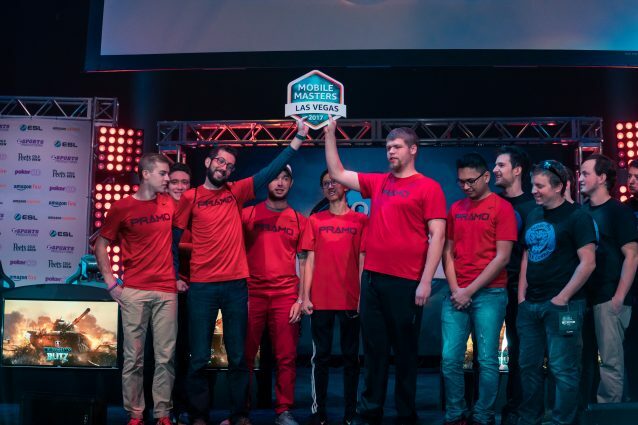 Player stories are often the compelling factor in all areas of both eSports and regular sports, but I found the players at this tournament to be far more “normal” compared to others that I’ve seen or met. 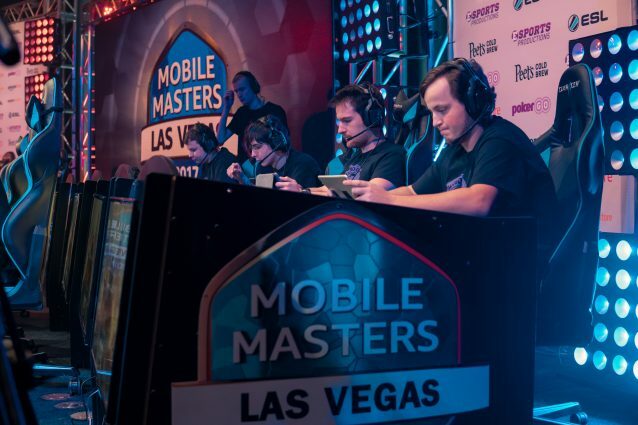 A majority of the players at Mobile Masters had no prior background in competitive gaming or even video games as a whole. One World of Tanks Blitz player named Zachary Applin — whose in-game name Dixie_Flyer — told me that he just downloaded the game one night while at work to help burn some hours away while on his shift. While he had never really played video games before, all of the sudden he found himself engrossed and soon started competing at the highest levels while holding his own in the process. Another Power Rangers: Legacy War player named Jeremy Schillaci — username DunkSB412 — wasn’t even aware that he could make it to an eSports tournament with his talents, he just enjoyed diving into a game based on the franchise that he adored as a kid. As a father, Schillaci would play the game while his children watched him. He started to realize how good he was at the game when he was consistently beating players that had more HP or better characters. After receiving an invite to a qualifying match, Schillaci ended up in Las Vegas and eventually won the Legacy Wars tournament with his kids watching him from home. While many criticize mobile games for often being too casual, that lower level of entry has given dozens of players who might not be as familiar with competitive games the opportunity to discover their passion and drive to be the very best. Mobile games might not be the most nuanced or complicated form of video games, but they’re providing unassuming people with chances to shine on the biggest of stages and win some cash prizes in the process. There’s still a lot of work left to be done to make the general gaming community more aware of mobile eSports, but Gauthey and Amazon seem to know what they’re doing and are committed to adapting as they move forward. Gauthey has a variety of new ideas that include television features focusing on the players and the scene to go along with some “Best Of” content highlighting the premiere moments from these tournaments. “What we are very passionate about is the content. When you bring these people together, you have a lot of stories that come out of here along with people making new connections and new friendships. That’s what I really like. People come from all over the world to win some prizes. We’re just trying to figure out how we can tell these stories better,” Gauthey told me. 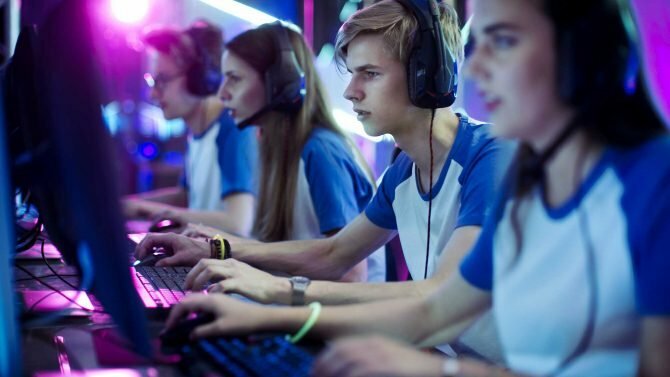 The eSports industry is predicted to bring in over $1 billion by 2019 and doesn’t seem to be slowing down anytime soon. 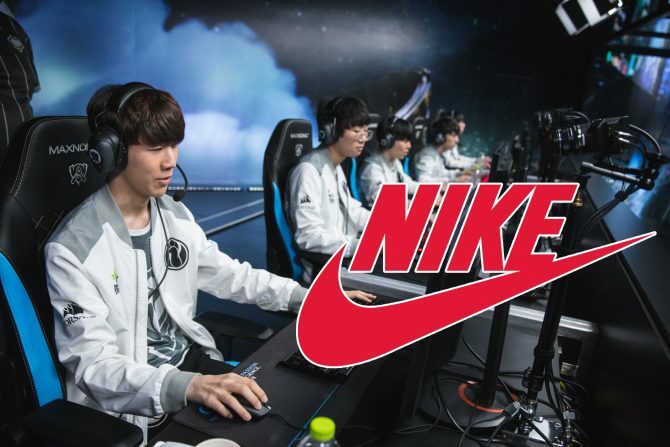 Despite being somewhat unknown right now, Amazon has the money and the leadership in place to ensure that before long, mobile eSports will be a pillar of the competitive gaming scene alongside the titans that currently dominate it. Mobile eSports gaming returns in June in the 2018 Mobile Masters gaming tournament, where the victors will fight to win a piece of the $100,000 pool prize.